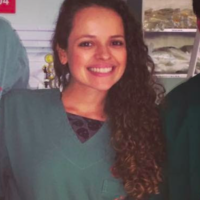 Dr. Juliana Pereira is a third year EM Resident at Hospital de Pronto Socorro de Porto Alegre in Porto Alegre, Brazil. She also practices EM at Hospital São Lucas/PUCRS in Porto Alegre, Brazil. Dr. Pereira is the founder and co-author of the BreakEM.org FOAM blog. She is a member of ACEP, EMRA and ABRAMEDE.